Before we get rolling with this review, I want to get one thing out in the open: I don't like cases. On any of my devices. They add bulk, restrict access to certain elements of the hardware (in some situations), and are just all around inconvenient. Honestly -- what's the point of having one of the thinnest tablets (or phones) on the planet just so you can fatten it up with a case? It basically just ruins the entire experience. 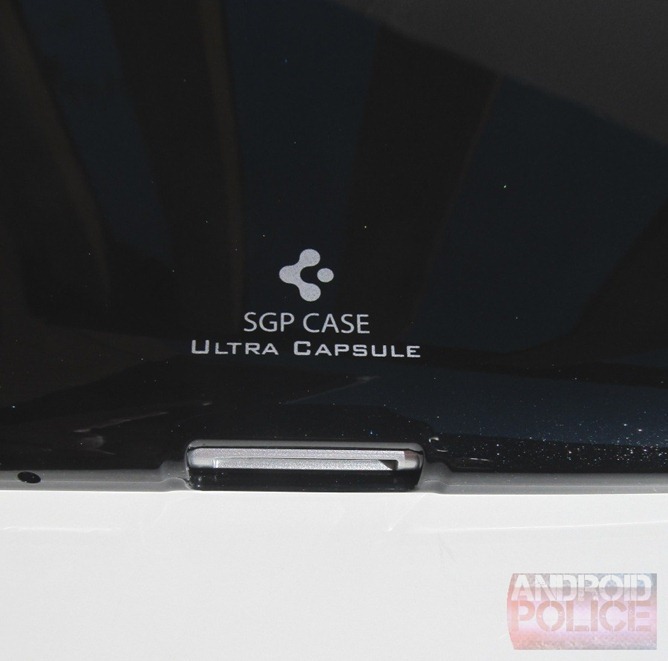 Then I got my hands on the Ultra Capsule Case by SGP for the Tab 10.1. If a product ever existed to change my mind about an entire genre of accessories, this is the one. Let me tell you why. First off, if any of the SGP guys are reading this (and I'm sure they are), I want to compliment the gorgeous packaging that this case arrived in. It's sleek, elegant, and it shows off the product. Good job. Inside said packaging, you'll find two things of importance: the case itself and a screen protector. Now, I'm not normally a screen protector kind of guy; much like cases, I just don't like them. They generally ruin the clarity of the screen, regardless of how "crystal clear" they claim to be. Guess who was wrong again? Yep. SGP - 2, Cam - 0. When I first put this screen protector on, I stopped halfway through removing the top protective layer because I thought the screen protector was peeling off with it. Yeah, it's that clear. Once I realized that the screen protector was actually on the device, I was blown away. This thing is clear. 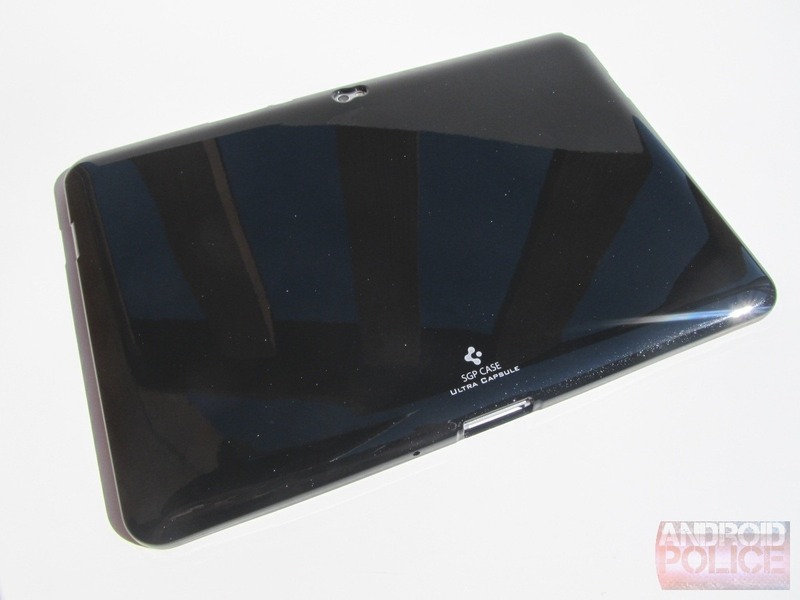 It is, without a doubt, the most impressive screen protector that I've ever seen. I seriously can't tell it's on there most of the time. After a couple of week of solid use, I have noticed that it smudges a little easier than the naked screen, but it also attracts less fingerprints. The good comes with the bad, but in this scenario, the good easily outweighs the bad. On to the actual case -- this thing is beautiful. The entire thing is laced with very elegant-looking colored flecks; a feature that I wasn't expecting. The case comes in both black and white, and while I can't speak for the white variant, I can verify that the solid black one rocks the shimmer with the greatest of ease. 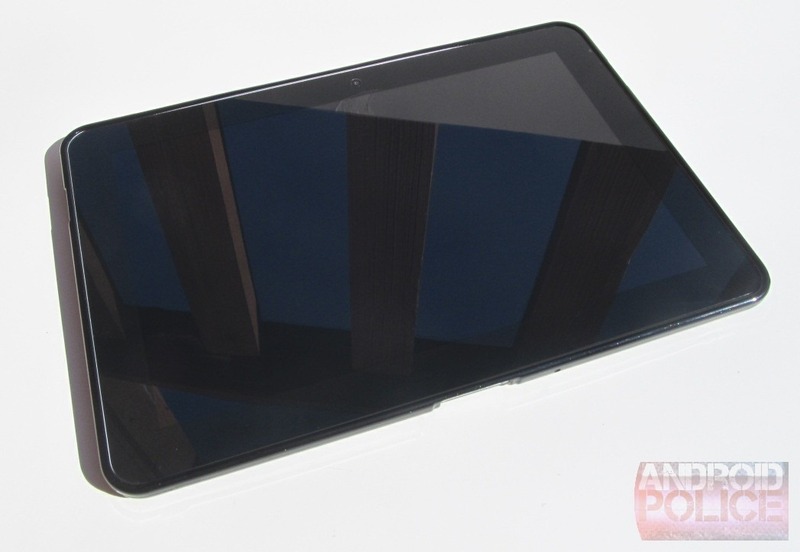 The inside is textured with a pleasant feeling pattern, like a comfortable bed made just for your Tab 10.1 to lay its weary head. All around the outer edge you'll find the openings for every port on the Tab, all cut with extreme precision. 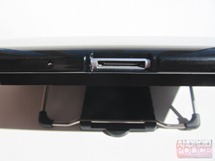 The only spot that is lacking a cutout is the power button/volume rocker area, but it is raised to make finding (and pressing) the buttons a bit easier. 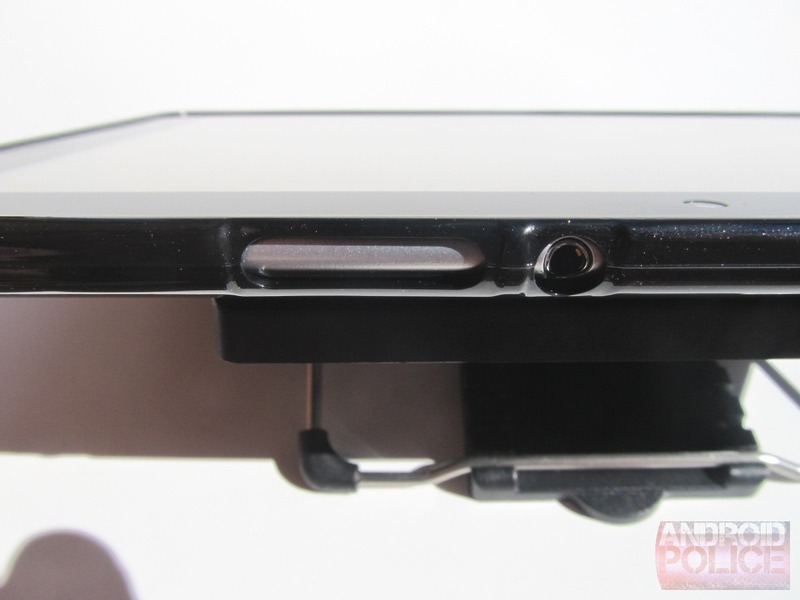 Continuing along the top, you'll find an opening for the headphone jack and SIM card slot (for the LTE version). On either side there are cutouts made just for the speakers, and an open spot for the mic and charging port grace the bottom. 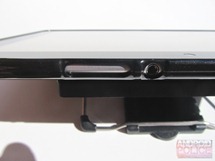 The back also has a cutout for the camera and flash. The Ultra Capsule is made from a high-quality thermoplastic polyurethane, and you'll immediately notice its grippy-ness. The back of the Tab 10.1 can get a bit slick at times, but the Ultra Capsule adds a nice amount of extra grip, without actually feeling sticky or unnatural. 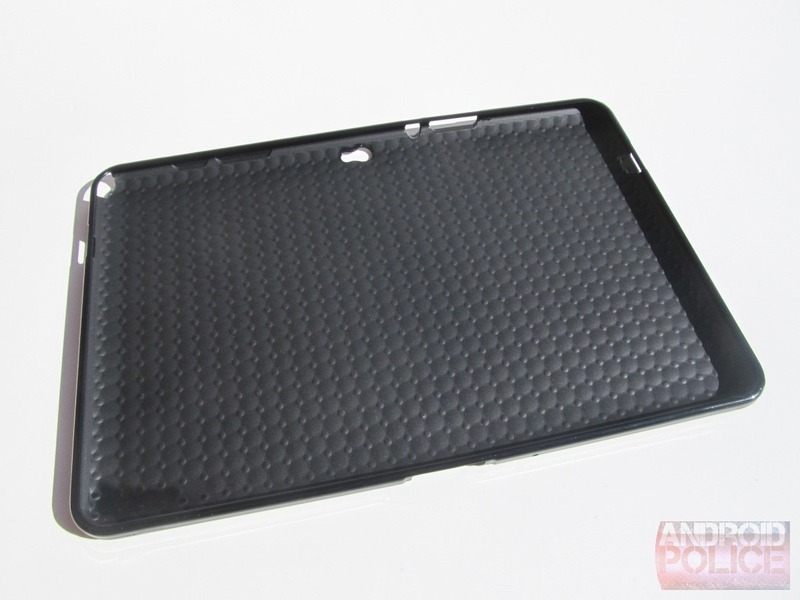 While the material does add some extra grip, it's also a fingerprint magnet. However, it's pretty easy to wipe down, so it's not a huge deal. Unless you're the type to make a huge deal out of everything. Then it might be. Just looking at the quality of work here is amazing. Every opening is so precise and the overall construction is so well done -- the craftsmanship is excellent. There really isn't a lot more I can say about the build quality -- it's just that good. While it is very well built, the Ultra Capsule is not meant to protect your device from drops. With the included screen protector, though, it provides a nice layer of protection against scratches and other day-to-day wear. 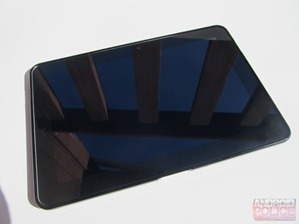 The Tab 10.1 fits in snug, but not too snug. It's easy to put it in, and equally as easy to remove. Once it's in, though, there is absolutely no chance that it's going to come out without you actually removing it. Again, excellent craftsmanship. There is one "downside," however. 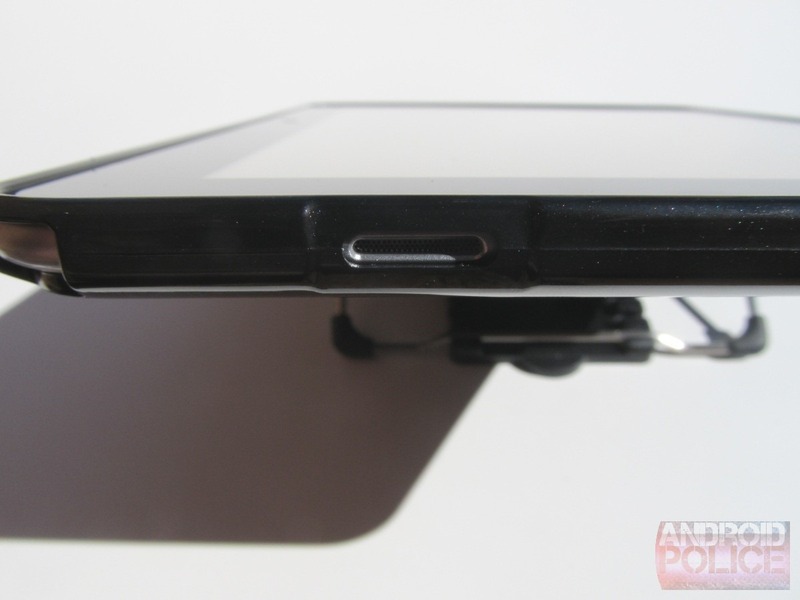 If you have the Samsung Galaxy Tab 10.1 Keyboard Dock, then you'll be removing the Tab 10.1 from the case each time you plan on docking (I'm sure it's the same for the desktop dock, too). Like I said, though, it's so easy to remove the Tab from the Ultra Capsule, it's really not that much of a hindrance. While the case does add a bit of extra thickness to the Tab, it's definitely not a deal breaker. In fact, I love the way it feels in my hand -- to the point where I almost refuse to use my Tab without it. I went into this thinking that adding some extra thickness to my Tab would be downright blasphemous, but I couldn't have been more wrong. This case is sleek, elegant, well made, and convenient. Its shortcomings are few and benefits are numerous, so, I can say with the utmost confidence that I highly recommend this case. The Ultra Capsule case is available directly from SGP and comes in either Infinity White or Soul Black, and will set you back $45 for either option.